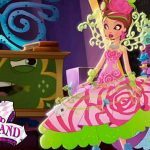 An Ever After High game of a new character available! 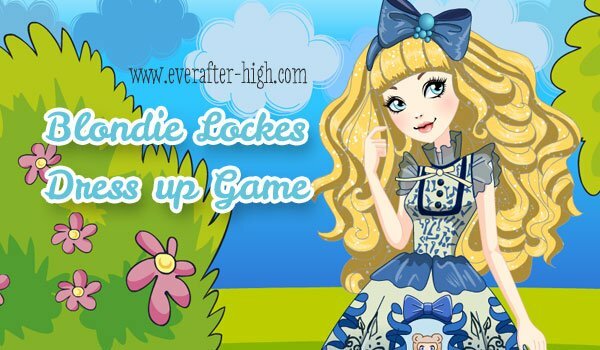 She is Blondie Lockes, the daughter Goldilocks, the character from the story of The Three Bears. 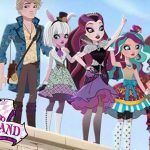 She is not yet offically released but we have seen her in some episodes. In this game you can choose, as always, among a wide range of outfits: tops, skirts, dresses, blouses, shirts, jackets, accessories and more. Remember that Blondie has an old-fashion style. her color is so sweet to lok at. I like it because it is really fun to play!!!! What’s the background song’s name? I wanna sing it, it’s so cool! yeah I love this soooonggg!!!!! I love the song to, pretty sure that she is British but it’s catchy:)!!!!!!!!!!!!!!!!!!!!!!!!! Awwwwww Blondie looks so cute in this game.